In the quiet suburb of Glenwood north-west of Sydney, just a stone’s throw from the nearest soccer pitch, you’ll find Charlie Yankos Street. It’s a fitting real estate-themed community tribute to Ray White Commercial NSW partner Charlie Yankos, a former Socceroos skipper famous for scoring what is considered one of Australia’s greatest ever goals. Melbourne-born Charlie spent many years on the international sporting stage, representing Australia 49 times in the 1980s in matches that included World Cup qualifiers, the 1988 Seoul Olympics and many stints as captain. His remarkable long-range stunner against Argentina in 1988 — a free kick that led to a 4-1 win for Australia in a Bicentennial Gold Cup match in Sydney — is etched in the sport’s history. What’s not as well known is that while he was starring on the world’s football fields, Charlie was also building a distinguished real estate career back home. He has also served as a director of Football NSW, the state’s governing body for the sport. In 1991, he was awarded the Medal of the Order of Australia (OAM) for services to soccer. “Today football is a career but back then, it was just a passion,” he says. The seamless crossover from sport to business means Charlie has now notched up more than 30 years in commercial real estate. He identifies competition, leadership and success as key connections between the sporting and business arenas. He’s looking forward to the 2018 FIFA World Cup and these days watches football mostly on TV, preferring to give family and friends the free match tickets that still often come his way. Charlie Yankos in the green and gold jersey. But sports fans never forget. Charlie is still recognised often and this leads to interesting interactions with clients. Charlie works closely with Ray White Commercial NSW director Brad Lord making sales and leasing deals and managing property around the Greater Sydney South region. Between them, the team has more than 45 years of commercial real estate experience — as well as the status of being respected industry leaders in a close-knit Sutherland Shire community. Famous for beaches including Cronulla, above, the Greater Sydney South area is also a tightly held and active commercial property market. “You have to have a connection with people,” Charlie says. “We believe in more than just selling or leasing buildings. We prefer to understand what our clients are seeking and work with them to achieve their goals. “We sometimes provide them with assistance and advice on property matters and we can do that because we’ve managed, developed and played that game in the space. “Fifty per cent of our discussions with people is to give unconditional advice. We get nothing out of it, and they’re often not even our client yet — just people we deal with. In 2018, Charlie and Brad are encouraging long-term local owners to review the value of their assets, which they say might achieve be higher returns than expected. They’re also nurturing increased interest in the area from non-local investors who are watching the market from afar and actively seeking out the Ray White Commercial NSW business. And as industry insiders would know, commercial property market dynamics in the Shire are a phenomenon only locals will truly understand. “We’re our own little machine down here,” Charlie says. Specialising in the sale, lease and management of a wide range of commercial, industrial and retail assets, the office is currently marketing a mixture of property types and has notched up multiple major deals in the past 12 months. In November 2017, Charlie and Brad sold the home of the Fusion Nightclub in Cronulla, pictured below, a well-known local venue that has been operating for more than 25 years. 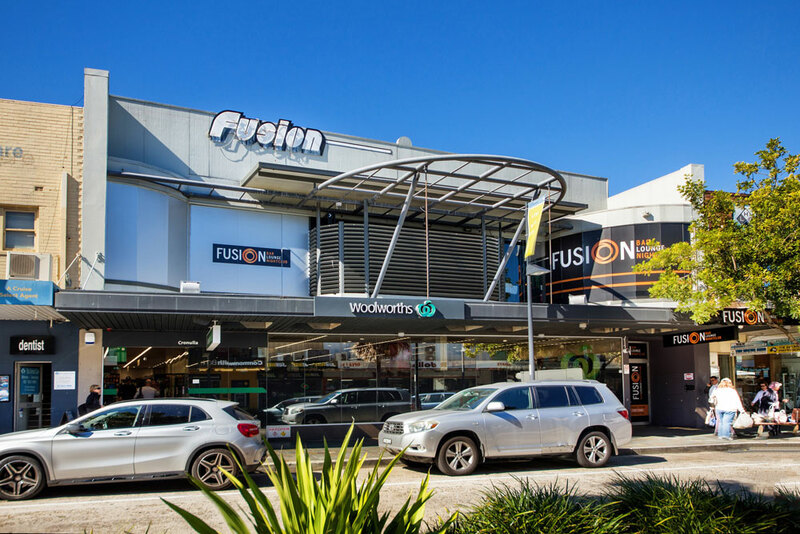 “The property was on the market for the first time in almost a decade and with Fusion’s lease running until 2025 — plus a further two option terms of five years — it was an outstanding strata investment opportunity,” Charlie says. 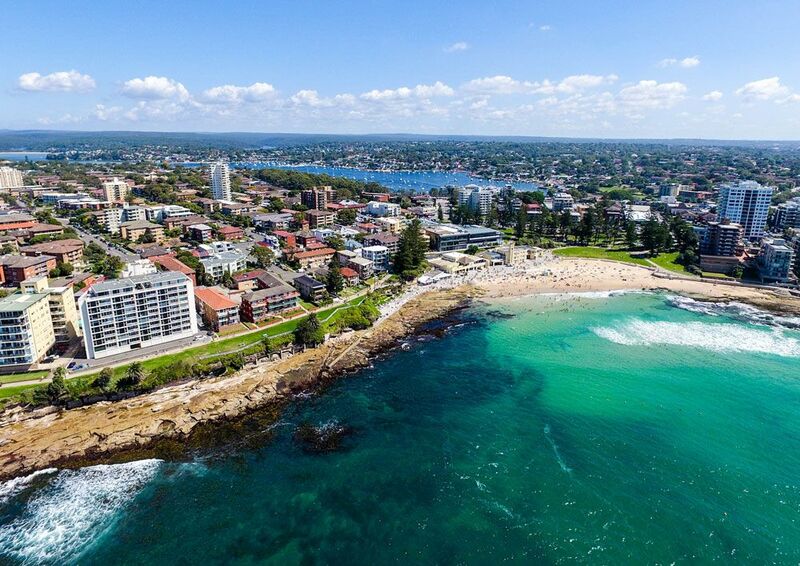 Charlie predicts a positive outlook for the Greater Sydney South property market as a result of development activity around Cronulla and an associated increase in the local population. The Ray White Commercial NSW Greater Sydney South team also provides regular market updates which focus on specific commercial and industrial areas of the region. The first Industrial Snapshot featured Taren Point and Caringbah, which have emerged as quiet achievers of the south Sydney commercial property market. Ray White Commercial data shows approximately 70 per cent of deals in the area were carried out off market in 2017. Charlie attributes this to an older and established seller demographic, the dominance of referral business and a general preference for low-key transactions within local groups. Putting properties out to market is encouraged but he believes respecting clients’ wishes is paramount. “It’s not just about your skill set, it’s also about the level of comfort you can provide,” he says. “So many of our client relationships are friendships and this will always break down barriers.